Several years ago, I turned this coffee table into a desk. 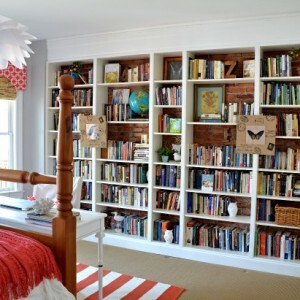 It was even featured on Apartment Therapy! This was waaaaaaaaay back in the ancient times of DIY blogging. You know, like four years ago or so :). But the problem was, it was a pretty terrible project. I even knew it at the time but tried to fool myself into thinking otherwise. Don’t get me wrong, I think it was a great idea, but my execution was poor at best. This project demanded a redo! Second hand coffee table. This one was found for free by the curb! Step 1: Cut off existing legs. 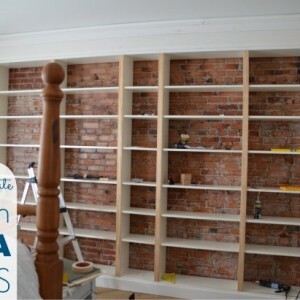 The procedure for this step is going to vary depending on the piece of furniture you are working with. 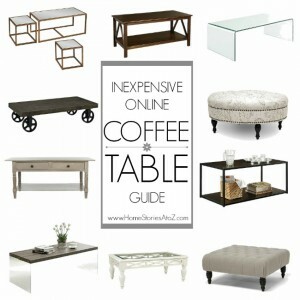 Most coffee table legs are attached within the corners of the table. That was the situation with these legs. I didn’t want to mess with a corner attachment so I just sawed off the existing legs nearly flush with the table. This left me with a nice base to attach the Waddell plate which leads us to our next step! Step 2: Drill a hole in the center of each leg according to the size of your legs and attach top plate. Your legs will screw into your coffee table. The little top plate with hold the legs in place and give the threaded screw something to grab onto. 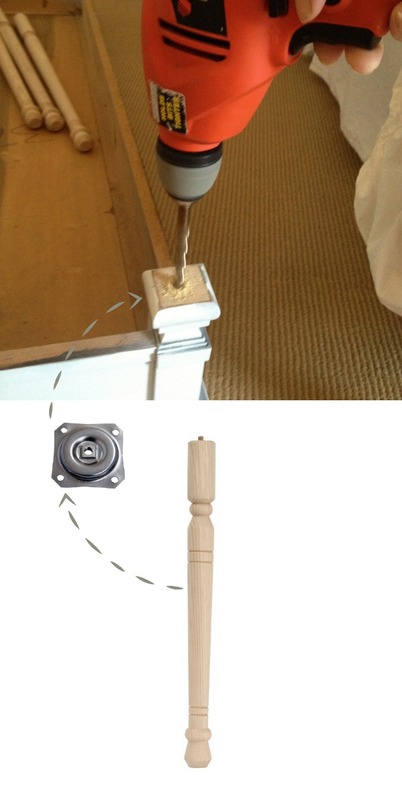 Drill a hole large enough to accommodate the screw and then attach your plate to the bottom of each corner. 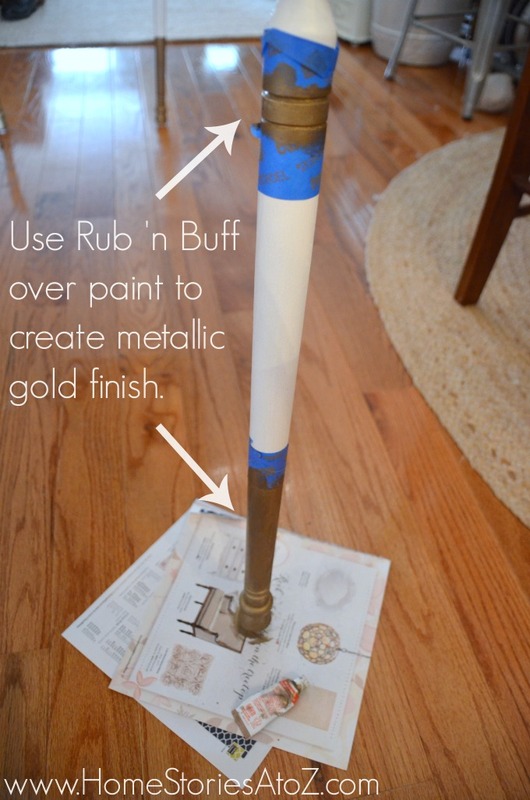 Step 3: Paint your table legs and use Rub ‘n Buff for some bling. And that is all there is to it! This desk is a bit taller than your average desk on purpose. My husband uses this desk often and he sits tall. He prefers a counter height work space, so this is perfect for him. Albeit a tad on the feminine side! But hey, it was practically free so he isn’t complaining! This desk is in our guest room and you can see the entire room including the Ikea-hack Built-in Billy bookshelves under “Related Posts” below. (If you are viewing on a tablet device, click the three lines on the lefthand side and scroll to “view on desktop site” in order to see the related posts.) Thanks for stopping by! 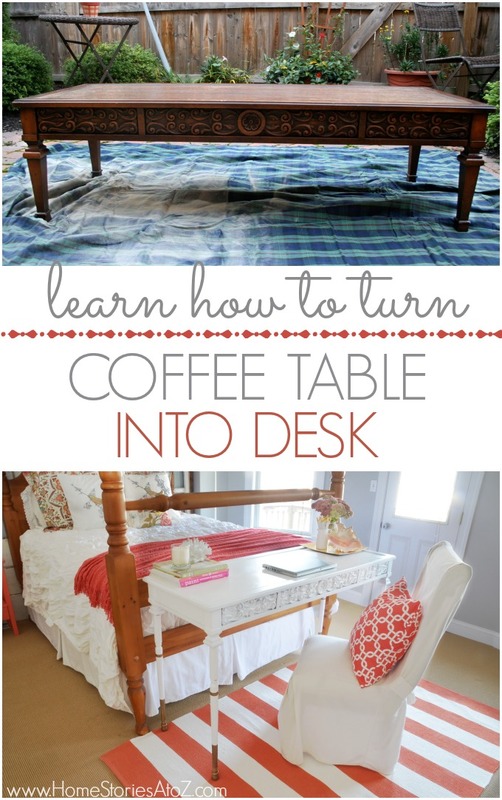 Great ideas, I have a adamin, trying to figure out how make it into a desk. I am doing this now!!! But I need the cutting tools! Can they be rented? Many thanks! 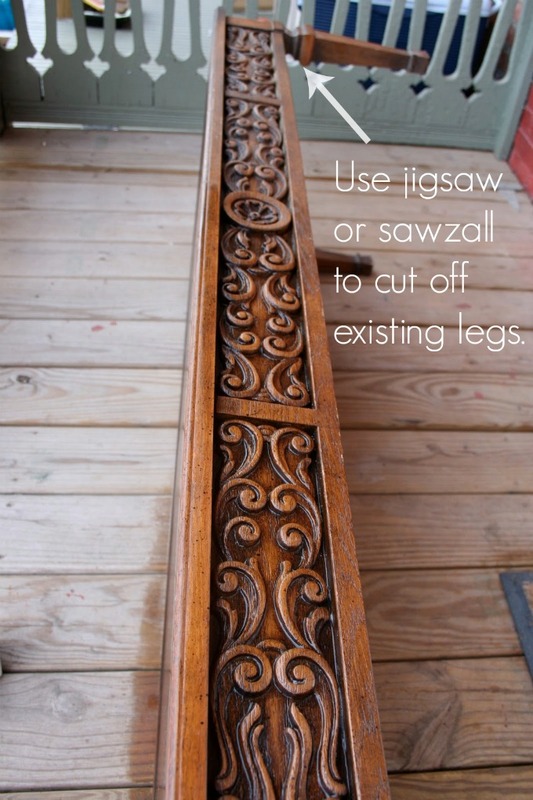 Thanks for such a great idea and I’ll leave the carvings unpainted to give it that more “manly” look, lol! My wife is just like you, she would much rather salvage a piece of furniture and make it into something that can fit the style of each room. She got me interested in “Ikea Hacks”, I continually look through the Ikea catalog for pieces I can transform into something better! What an amazing project Beth!! We turned a similar table into a bench…but a desk? That is so outside the box and creative!! What I really love is that you’re thinking outside the box, and placed a desk at the foot of your bed versus a blanket chest. Nice! I LOVE THIS IDEA!!!! I am so going to do this! And thanks for the great tutorial . . . well done! Love the desk! I’m so glad you liked it :). Thanks for stopping by! This is so cool. I should so do this if I ever find a free one. 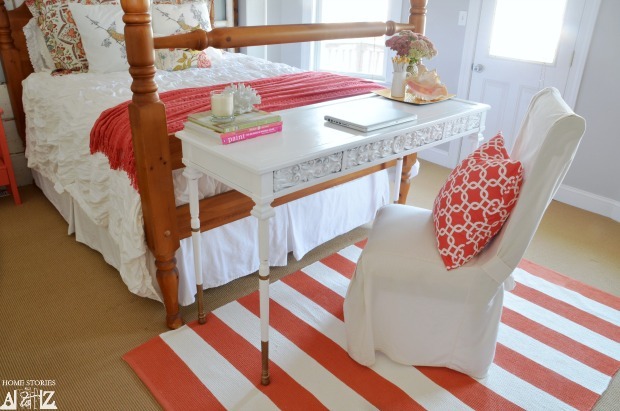 I love this idea and love how the desk looks in the bedroom. Fabulous idea.